These stainless steel hollow core clay extruder discs are designed for use with metal clay, but can be used with other types as well. Packaged with three sizes: 1mm, 2mm and 3mm. 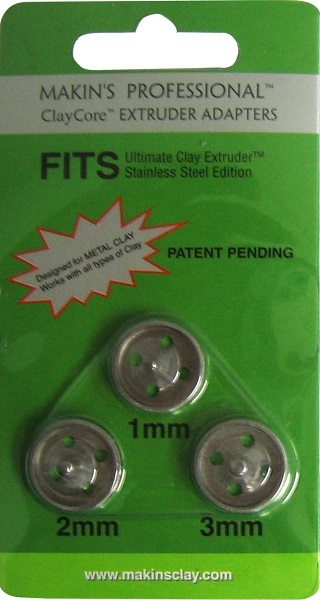 Fits Makin's Aluminum Ultimate Clay Extruder (MK-555).